J.W. Morris Kitchen and Bath was founded by James Morris, who earned a Bachelor’s of Science degree from Western Michigan University, where he majored in Construction, Supervision and Management. He began his design career in the Kitchen Industry in 1986, and by 1997, he had established his own design and remodeling firm. In 1991, he achieved his accreditation as a Certified Kitchen Designer. 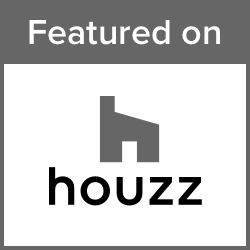 James has designed homes throughout Michigan, Florida, and the Midwest. His projects include the Detroit area’s yearly kitchen tours, as well as a number of Junior League Showhouses. James leads a skilled Design Team at Morris that is able to bring their customers’ dream room from conception to reality. To have your question answered Submit Your Question in the form provided on this page. Q. How much should I budget to remodel my kitchen or bathroom? Am I envisioning a detailed and custom-designed room that includes high-quality cabinets and fixtures, or am I thinking on a more modest level? This will determine whether you need to find a more custom dealer, or whether a standard Kitchen and Bath outlet will do. What features do I want to include in my new Kitchen or Bath? With so many options available, it is best to book a Design Consultation appointment with a Custom Designer to check out the full range of options and pricing. This will also allow you to be a part of the Design Process. Are there particular brands of Kitchen and Bath cabinets and products that I favor or have heard about? A little research on your part will go a long way, as the price range is wide open, and generally you get what you pay for. Brands such as Grabill and Wellborn are companies that provide high-quality cabinets that are guaranteed to become centerpieces in your new Kitchen or Bathroom. Q. What factors will affect the price of my new Kitchen? About half of the total cost of the project will be the cost of the Cabinets you choose. The price range of cabinets is determined by the type of material they are made of, and whether they are standard stock or custom-made for your specific needs and space. Also consider that different counter, backsplash, and floor materials weigh heavily into your end price. Another big part of the price equation is the talent and workmanship that will go into the design, materials and construction of your new Kitchen or Bath. Custom Design and Expert Installation may cost more, but you will value the quality workmanship every day as you enjoy your new Kitchen and Bath. Q. I want to remodel my Bathroom. What will determine the end cost of doing this? There are several components in Bathroom remodeling that determine your end cost, with Cabinets comprising a larger part of the total - as much as 34 percent. Installation is often another substantial part of the cost to consider - a cost worth every penny, because of the detail and care needed to properly place tile, install fixtures, and to ensure a professional end result. Q. How do I set and stick to a budget for my new Kitchen or Bath? Your best first step is to book an appointment with a Design Consultant who will help you determine your design options and pricing. Some homeowners are able to draw from personal savings to see their dream Kitchen come to reality. Other options include taking out home equity loans, financing through your dealer or lending institutions - or, if you are purchasing a new home, even incorporating remodeling costs into your mortgage. Q. With so many Kitchen and Bath dealers out there, how do I choose the right one for me? Of the thousands of companies that offer kitchen/bath design and installation services, many of them belong to the National Kitchen & Bath Association. There are also thousands of individuals certified by NKBA as Certified Kitchen Designers and/or Certified Bathroom Designers. To determine who would provide the highest quality service and materials, you will need to visit the showroom and book a Design Consultation which will allow you to be an integral part of the Design Process. Q. What can I do myself to help cut costs? With a little skill, you may be able to tear out old cabinets, handle painting and wallpaper duties, and other minor tasks. Plumbing and appliance hookups, however, should be handled by professionals skilled in that area - otherwise, you may be placing yourself at risk of violating building codes and manufacturer warranties. Installation should also be done by certified professionals to ensure a complete and pleasing end result. Q. Are contracts and orders important? A reputable dealer will have proper documentation of the final Kitchen and Bath design, and will provide written estimates before the fact, project specifications, and proper signed contracts. Make sure the company is bonded and insured and has plenty of references - talk to other people who have done business with the company. Q. How are payments handled? Usually 50 percent (and maybe a retainer) is required once you sign the contract. Then 40 percent is required upon delivery or installation of cabinets and/or other accessories. A final 10 percent is collected upon completion of the project. Q. What is a Kitchen "work triangle"? This triangle is comprised of the Kitchen area from the refrigerator to the main cooking area to the main sink. A well-designed work triangle will contribute to an efficient and smooth-functioning Kitchen. Q. What is the purpose of a Design Consultation? You probably already have an idea about how you want your new Kitchen or Bath to look, or you may at least have thought about what features you would like to be included. A Design Consultant will help guide you through the Design Process, and help bring your dream room to reality. Q. With so many options available, how do I get started? At J.W. Morris Kitchen and Bath, we invite you to visit us or Contact Us by e-mail or phone for more information, or to set up a Design Consultation.